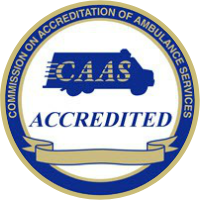 Since its inception, the goal of the Richmond Ambulance Authority has been to provide its community with clinical excellence, while ensuring reliable response times. When our emergency communications center receives a call, emergency medical priority dispatching protocols are followed to ensure the right resources are deployed to each call as quickly as possible. Despite having the highest call volume per capita in the nation, over 60,000 calls annually, our response times remain among the fastest in the country. Our fleet includes dozens of Advance Life Supporting (ALS) units, Basic Life Saving units (BLS), Critical Care units, Polaris specialty ASAP vehicles ideal for responding to calls in difficult terrain, and support vehicles. While responding to calls and getting to our patient’s side during a life-threatening emergency is a top priority and at the core of what we do, the Richmond Ambulance Authority also offers a variety of services for every situation. That includes non-emergency transports, bike medics for events where ambulances cannot maneuver, and medical standbys. We have at all times 2 man crews made up of at least one Paramedic, and another paramedic or EMT. The Richmond Ambulance Authority responds to over 60,000 calls annually. Our RAA ambulances are on the scene of life-threatening emergency calls in less than 8 minutes, 59 seconds, 90 percent of the time, despite being one of the busiest EMS systems, per capita, in the country. Our Advanced Life Support (ALS) units are continuously stocked by our logistics department in order to ensure they have all the necessary equipment and resources for each call. Each ambulance has some of the most advanced equipment in the field including high tech stretchers, monitor/defibrillators, and autoresuscitation devices. Our highly trained staff along with state of the art equipment give our patients the best chance for survival. We take pride in being able to offer world class service and resources to our community. The Richmond Ambulance Authority in partnership with VCU Medical Center designed our cutting-edge Critical Care Unit. It houses a lot of the same equipment used in VCU Medical Center’s Critical Care Hospital. The unit transports people who are critically injured or ill, premature newborns, neurology, respiratory, cancer and burn patients. Some patients require a higher level care or specialized services that may not be offered at the hospital they are admitted to. Using the CriticalCare Unit patients can be transported from those hospitals to VCU Medical Center. The Unit has state of the art safety features, 2 generators, and a third backup and can lift stretchers and patients up to 1,000 lbs. The unit has a high tech specialty ventilator that can take care of patients all the way down to 3 kilos. It has a CMAC intubation device that can be used for complex intubations. The unit also has the ability to transport ECMO patients along with specialists that may be needed during transport. Having the Critical Care Unit is another way the Richmond Ambulance Authority is able to separate itself from other EMS agencies and deliver world-class care to the people we serve. Non-emergency transports are one of the main responsibilities of the Richmond Ambulance Authority and one of the major commitments we have to the City of Richmond. These transports can range from patients that need continued care such as dialysis, to patients that were treated at a local hospital and need transport back home, to patients who reside or are being treated in the city but need specialized care in another city or state. Non-emergency transports are most often set up through the partnerships RAA has with surrounding hospitals and agencies. Our transport teams have traveled to places as far away as New York City, Ohio, and Florida. During transport, patients are continuously monitored by a provider in the back of an ambulance in order to ensure their well-being. Our non-emergency transports allow us to deliver world-class care, excellent customer service, while also providing a valuable service to local hospitals and our partners in the healthcare industry. Since 2008 the Richmond Ambulance Authority has been training paramedics and EMTs as bike medics. Our bike medic team will often work events where ambulances have trouble maneuvering such as concerts, festivals, and races like the 2015 UCI Road World Championships. Bike medics can respond to an emergency situation much more quickly in those situations. In order to become a bike medic, our staff must go through extensive training following International Police Mountain Bike Association (IPMBA) standards. IPMBA is considered the best and most complete training for public safety cyclists in the country. The training includes 32 hours of field testing and a written test. Our bike medics use professional grade police bikes equipped with mobile cardiac defibrillators, intubation kits, advanced life support drugs, and other medical supplies. Having bike medics is another unique way the Richmond Ambulance Authority is able to deliver world-class EMS care. The Richmond Ambulance Authority works with a variety of businesses and organizations to provide all of the necessary emergency medical services tailored specifically to your event. We have decades of experience and have covered all types of events including music festivals, sporting events, graduation ceremonies as well as a variety of community events. Special Event Coverage rates can vary based on the size and needs of each individual event. In some cases, an event may be classified as a community outreach initiative and RAA will provide its participation free of charge (at the discretion of RAA). An event can be considered a community outreach initiative if the organizer is not requesting medical standby services. Instead the organizer is requesting RAA’s participation at an event for those in attendance to learn more about RAA, the services we provide, and more about mobile integrated EMS and what sets us apart from traditional EMS systems. An event is determined to be a community outreach initiative at the discretion of RAA. Medical Standbys and Outreach Initiatives are filled on a first-come, first-serve basis. If you are seeking event coverage please fill out the form below and a representative from RAA will contact you. Submitting a form is not a confirmation that your event will be covered.